These roses are worked in one piece and are only made up of two rows. They are super simple to make and the smaller two work up really quickly. 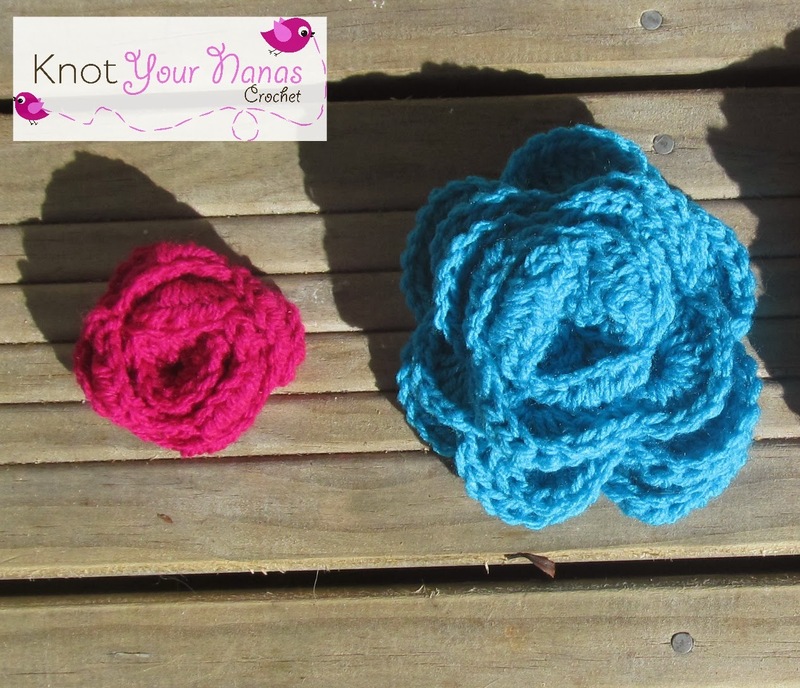 They can be used in a variety of different projects including hats, headbands, hairclips, hair bow holders. Use your imagination and I am sure you will come up with something great. Us crafters are good at that :). 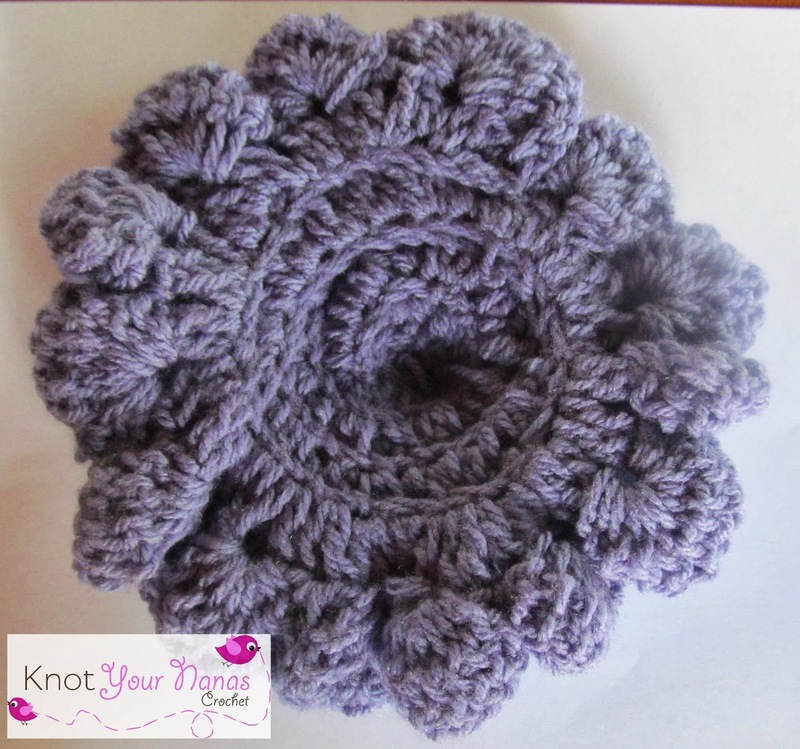 Large Flower: 6 inch diameter, uses approx 35 grams of yarn. 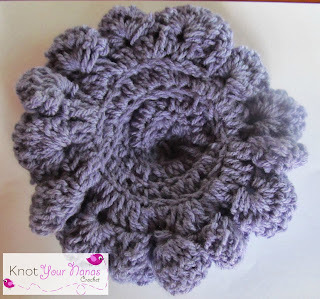 Finish off, starting from the end with the hdc shells (this will become the centre of the flower), roll into a spiral shape, stitching together as you go. 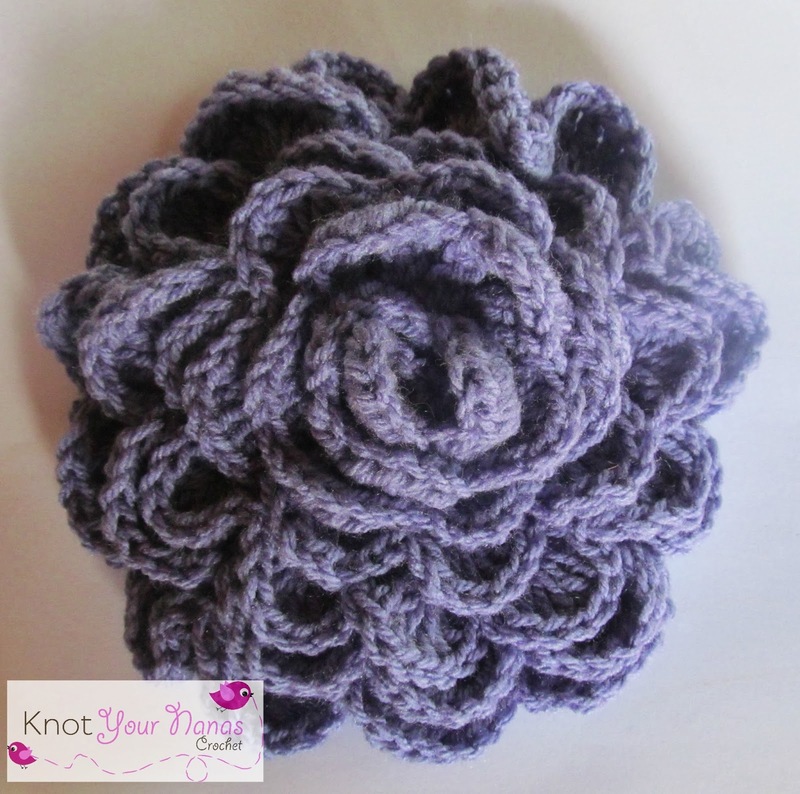 The size of your flower will depend on how tightly you do this so keep this in mind when stitching together.